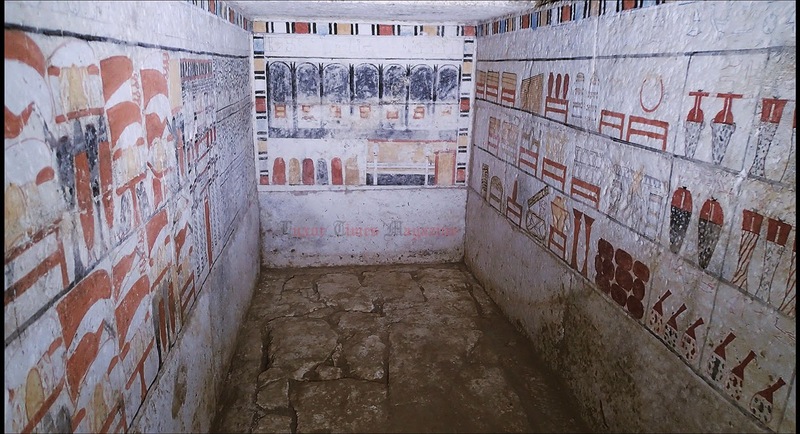 The first tomb of a priest called “Ankhti” where the burial chambers was found in a shaft 12 meters deep and the second tomb belongs to a priest called “Sabi” where the burial chamber was found in a shaft 6 meters deep. 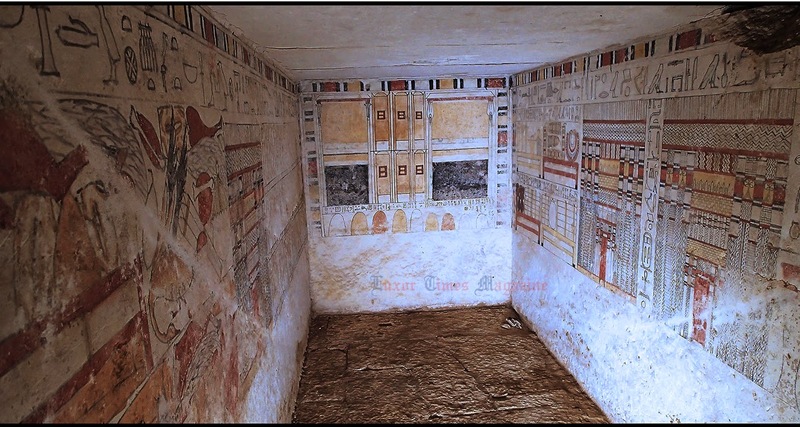 In both tombs there are offering scenes. Really extraordinary! Great work! The bottom right hand , the 6 vessels with tilted neck: don't they resemble or remind of laboratory vessels? I wonder what purpose the tilted necks served? So exciting! Praise to the French archaeologists! They might be representative of 'bags' and not vessels.Each appear to have different contents.